Value Vehicles Warehouse is situated at 49 Gloucester Street, Nelson City. Our Hours of trading are 9.00am to 5.00pm. We are open evenings by request. Saturday we are open 9.30am - 1pm and after hours & Sundays happily by arrangement. Our Westport Yard is situated on the Main Street at the intersection of Palmerston and Wakefield Streets (By New World). Phoning our local man, Kelvin on 027 346 3430 or Paul (021 495 555) or Neil (021 311 690) and we will happily answer any queries you may have. We are happy to exchange vehicles between Nelson and Westport for you to view. Paul started his working career as a Mechanic for M.S.Ford in Nelson. 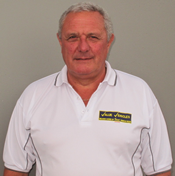 After some 5 years in the military Paul commenced selling vehicles for the Bowater Group. 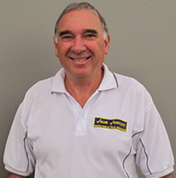 Paul held positions of Sales Manager and then Dealer Principal for Bowater Nissan and later the Tasman Motor Company. Paul started Value Vehicles along with Neil some 15 years ago and took the philosophy of the new vehicle franchises customer care into the used vehicle market. Paul has also been a member of the N.Z. MTA Used Vehicle Committee. Neil's introduction to the Motor Industry was as a Sales Cadet for Wakefield Motors Wellington. The retail outlet for Todd Motors Ltd. Progressing to Salesperson before being asked to move to Todd Motors Sales Department Selling New Vehicles to the Dealer Network, Assisting with new Product launches. On moving to Nelson Neil has held sales positions with The Bowater Group, Used Sales Manager Cable Price Toyota prior to merging with Wrightcars. After an 18 month break in Real Estate Neil was lured back by the above person to take the position of Sales Manager for Tasman Motor Company. We have been mates for near 40 years and share the same ideals of customer care being a priority.